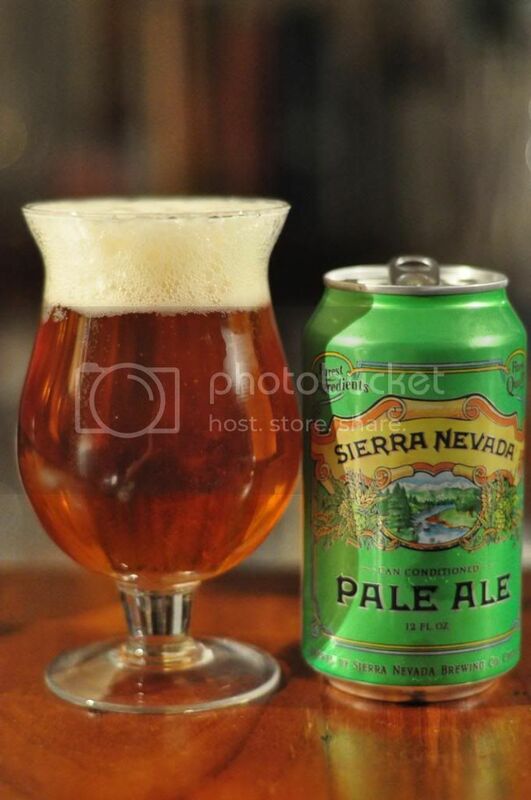 I'm really excited about today's Bottle vs. Can Debate because of the test subject; Sierra Nevada Pale Ale. This is one of the most influential craft beers ever! It also happens to be a personal favourite of mine. I came across a can of this the other day on a website and so there was no way I wasn't doing one of these reviews! What makes this possibly the best installment in the Bottle vs. Can debate is that I have been guaranteed by the importer that these two specimens came in the same container from the US. So there can be none of the conjecture I sometimes get about different batches, different container conditions etc. etc. Let's get into them. You can probably notice slight differences in the appearance of these two beers. 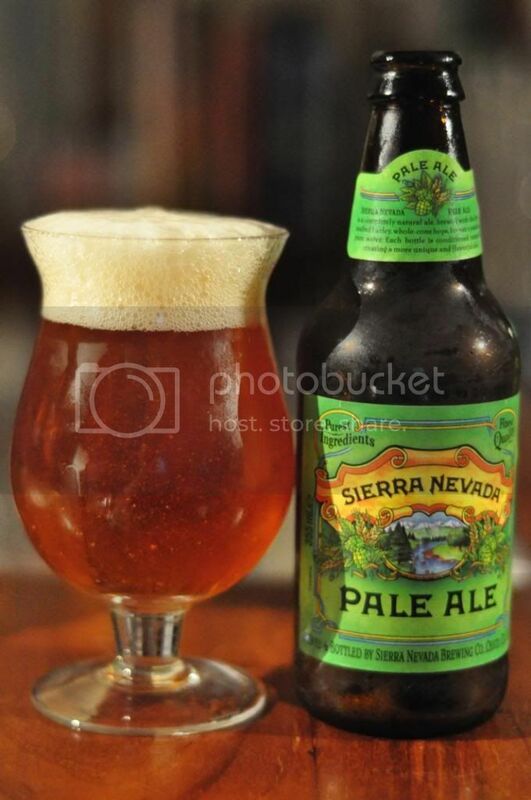 Both have the distinctive golden amber colour that many Sierra Nevada beers are. While the canned version is brilliantly clear the bottle has little bits of sediment floating in it. The head sizes are both similar and have good retention. Upon tasting however there is a clear winner.... the can. Both taste excellent but the can clearly has more hop flavour than the bottle. Both beers have light citrus hops first up before bready malts take up a more prominent role, which is much more obvious in bottle form. Piney hops take over for the finish, it's just a beautifully constructed pale ale. Based on tonight's tasting we are going to have to chalk this one up as another win for the can. The thing I will say though is that bottle still is one of the best examples of an American Pale Ale that you will find in Australia. This is the beer that really sparked the craft beer movement in the U.S. and the beer that inspired Australia's pioneer the Little Creatures Pale Ale. The bottle is far more readily available than the can and it's certainly a beer I'd look out for if you haven't had it.